Premiere personal trainer in South Tampa, Fl with custom workout and plans and classes. We also provide personal rehabilitation programs to ease pain out of your body. Call us today 813-422-5671 ! Personal training, as an industry in North America, has been growing rapidly within the last decade. The concept of hiring a fitness coach has been gone from being a luxury to necessity. The two main reasons, motivation and safety, has driven more people towards investing in a fitness trainer. Despite this significant improvement, there is still no governing body to supervise and regulate this profession. This means that anyone can claim to be a personal trainer. Someone with no related certification can train people and charge them for it. The issue that might arise is if a client gets injured while training, and the client sues the trainer who apparently doesn’t have a liability insurance because he/she is not certified by one of the accredited organizations. Many injuries are a result of wrong timing, technique, and intensity of the exercises as well as many dangerous drugs or supplements suggested by the trainers, all because of the lack of regulation. For example, there was a case in the US some years ago where a female client with a high blood pressure was advised by her non-certified personal trainer to take some weight loss supplements that contained “ephedra”. Consequently, this resulted in a brain hemorrhage and her death. There should be a strong campaign to force the government to regulate this profession. However, this process might take a long time. For the time being, you, as one of those many who hire trainers, need to first verify that the trainer is certified by a well-known institution. To name some of these certifying organizations, there’s CPTN, Can Fit Pro, ACE, CSCS, and more. They also should have obtained a health and fitness diploma from a college, or have a bachelor degree in physical education. Second, check the trainer’s years of experience in the field. The longer they’ve been in the business, the more they’ve trained clients, and as a result, have experienced various types of conditions. The more complicated your requirements and goals are, the more time you need to study the trainer’s background before hiring. Third, after you’ve hired the trainer, you should still monitor them. If you feel that one exercise might not be right for you, discuss it with your trainer and see if he/she is confident that the exercise is safe for you. Don’t be shy and give feedback to your trainer. Remember, your safety is most important. If the exercise causes pain, stop the movement right away and communicate this to your trainer. 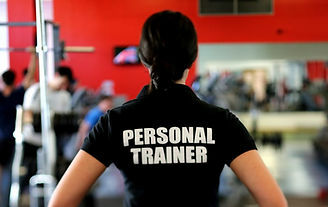 Considering the lack of regulation for this training profession, these are just some precautions you should take before hiring a personal trainer. This can increase the chance of your health and fitness investment being rewarding, so it won’t turn into a bad experience for you.